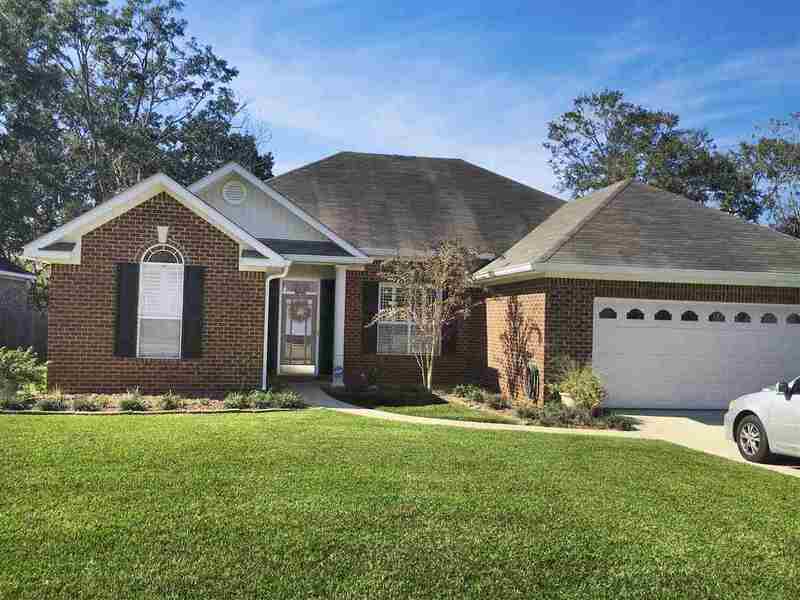 Beautiful single level 4 bedroom 2 bath home in Fairhope&apos;s River Station. Home is immaculate with hand-scraped hardwood floors, plantation shutters, gorgeous trim and crown molding, AND a brand new completely redone kitchen with new upgraded cabinets with pullouts, beautiful new granite counter tops, and new stove and microwave. Split floor plan with charming french doors to close off the guest side, gas fireplace, wired for security system, newer HVAC, and transferable home warranty are just a few of the other great features. The master suite has raised and vaulted ceilings in the bedroom and bath, large double vanity, soaking tub, and separate shower. And don&apos;t miss the fenced backyard the backs up to a Pecan orchard for privacy, and a great view from the huge partially covered patio that is perfect for morning coffee or relaxing at the end of the day. Directions: From Hwy 181, East On Fairhope Ave, Left On Northwood St Into River Station. Home On The Left.